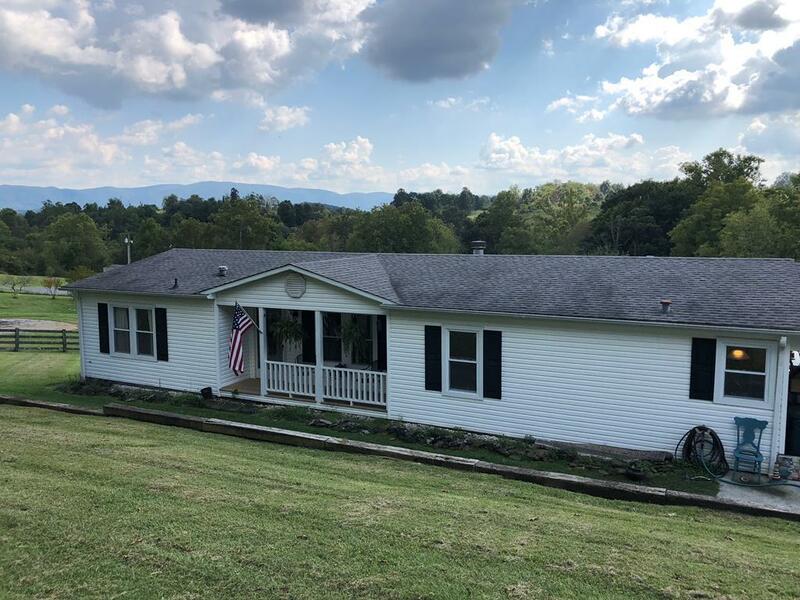 23250 Golden View Dr, Abingdon, VA 24211 (MLS #66738) :: Highlands Realty, Inc.
Beautiful, move in ready, and newly remodeled one level home with attached 2 car carport situated only 2.6 miles from Washington County Park on South Holston Lake. The home features hardwood floors throughout the main living spaces, new berber carpet in bedrooms and closet, vinyl in laundry room and bathrooms. The home provides ample amount of storage including two walk-in closets. The living room has a beautiful stone fireplace and french doors leading onto a sunroom flooding the area with an abundance of natural light. Freshly painted neutral colored walls and freshly painted crisp white ceiling throughout. Enjoy sitting on the back porch or sunroom while watching the wildlife that is drawn to the backyard by the landscape of mature trees and steady flowing creek. The seller is also offering wonderful buyer incentives. A one year warranty on all kitchen appliances. With a full price offer the sell will give $4000.00 toward closing cost. A home inspection was performed in June 2018. Listing provided courtesy of April Vandyke of Callebs Realty.